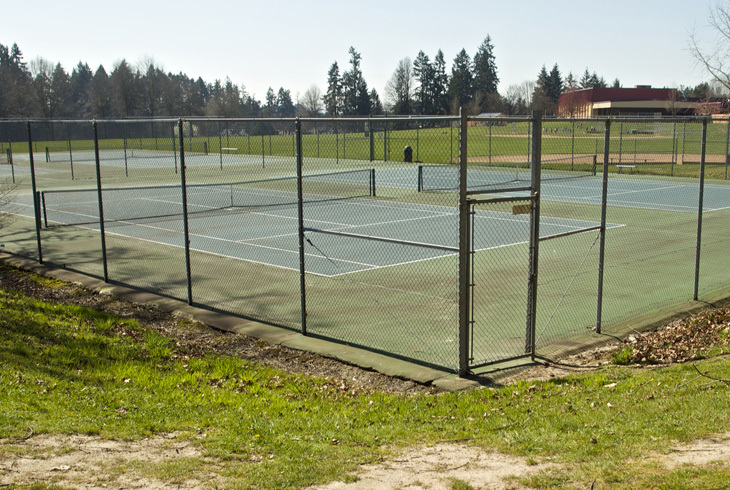 THPRD has outdoor tennis courts at 37 sites throughout the district. These courts may be enjoyed on a first-come, first-served basis; no reservation is required. As a courtesy to other players, please limit play to 60 minutes when courts are in demand. Please note that use of outdoor courts is intended for tennis only. No skateboarding, Rollerblading or other activity is permitted. If you are interested in renting courts for a private event, contact Kerry Sanford at ksanford@thprd.org or call the Tennis Center at 503-629-6331.